I am very please with the all the services that Home Paramount has been providing me. Everyone is so caring, courteous and efficient, starting with everyone in the office and all the technicians. I will definitely keep H.P.for all of my home needs. Thanks H.P. Your technicians are all nice guys, polite and helpful. Your phone system is ridiculous, going thru the Maryland office to talk to someone in Yorktown! On time. Excellent work. Thorough work. Thanks to Home Paramount; especially our bug sprayer Victor, our house has been bug free for months! Marty was very polite. He took the initiative to add mice traps to several areas. I couldn't be happier. Have been using home paramount since I built my house and have been completely satisfied for almost 30 years. The team that came to encapsulate our crawl space were professional and did a great job. We can already see a difference inside the house. Always on time! Super friendly staff. I am a real estate professional and have dealt with several different companies in the past 15 years. Paramount has been the best at responding quickly, handling any issues and have very fair pricing. Chris Hogge and his team are ALWAYS phenomenal!! The quality of customer care you receive from him is enough continue to use this company. The pricing is ALWAYS right the first time! If you don't understand what needs to be done, Chris educates you, and answers all questions without a problem, making sure you aren't left in the dark about anything. I am thankful for Chris Hogge and his team, and I will continue to use his services with Home Paramount, and recommend him to everyone I know. Thank you Chris, and thank you Home Paramount for having 5 star employees representing you!!! My husband and I have used Home Paramount for 3 different houses for over 20 years for quarterly inspections and termite pest control. The service engineers have always arrived on time and have been very customer service oriented. Marty is the best! I've been using Paramount for years and they provide a great service. Their technician Marty is a gem! The same guy (Monte?) comes everytime & he’s amazing! Our service associate/inspector really has a great concern about his craft. He is not satisfied he feels he has answered all of our questions. He is a dedicated worker, enjoyable to express our concerns, and attacks ANY problem he sees. I have been very satisfied with Home Paramont’s Services for Termite and Pest Control. I am impressed with their expertise and customer-satisfaction-centric professional standards. Every task from planing, proposal and execution of proposal was thorough. I highly recommend their services to my friends. Good service, all is well. Professional technicians, arrive as scheduled and price that fits a homeowners wallet. Mostly happy. I do think $150 is a little high for 20 minutes of rodent dropping cleanup. We are using same company last 10 years and no complain and good service. very good service, friendly helpful tech. 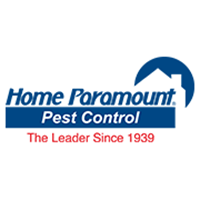 I have quarterly preventive treatments performed by Home Paramount throughout the year, and I have been very satisfied by the quality and performance of the company and its personnel. It has made a tremendous difference in the number of insect problems I have each year and, to date, have sustained no damage to my property. Thorough inspection; good face-to-face feedback from the tech; clear written report. Professional work for my home. Always timely pleasant and effective, thanks. Charles does an excellent job of providing service to our home and is is a joy to be around. Professional, friendly & knowledgeable staff. I've always been happy with the services and the response time. Stop clogging my email with this stupid stuff. If I wasn't happy you would already have heard from me. I have said many times Charles is great. I will never reply to one of these dumb emails again. Very please with the job that was done. Would highly recommend the Company to friends and neighbors.